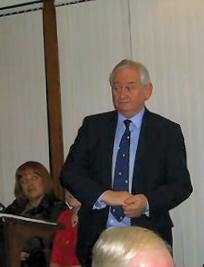 Feb 9th 2010 Club AGM. What an evening, it must go down as one the best Burns nights we have had in the club in recent years. President Peter Phillips welcomed everyone to the clubhouse and introduced his top table. 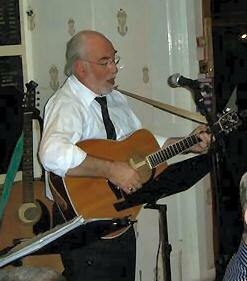 Past President Alex Latimer brought in the beastie to the strains of PiggeryBrae fiddler Ian Robb. 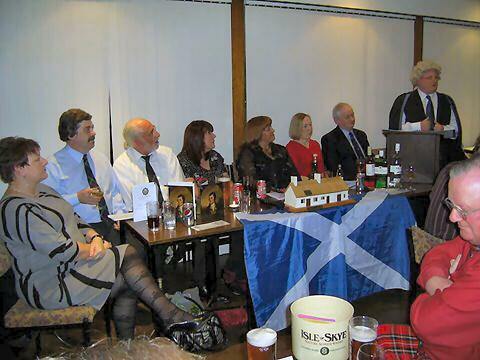 Angus Ross delivered a superb rendering of the toast tae the haggis and managed to inject some humour into the prose highlighting the fact it was one the smallest haggis he had the pleasure to toast! PiggeryBrae kicked off the music with a Burns set of Johnnie Cope, Leezie Lindsay and A mans a man which had the audience singing along. 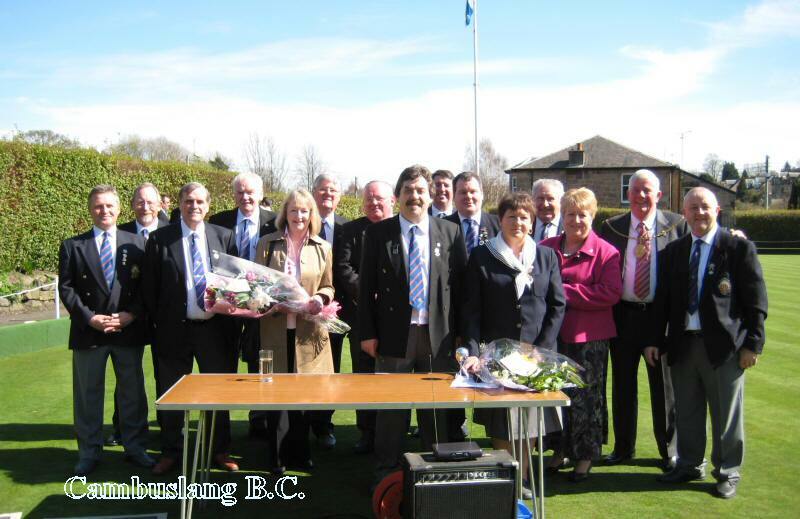 Kenny Wilson a great friend of Cambuslang BC and Past President of Kirkhill BC delivered an outstanding Immortal Memory. Dressed as a judge he called upon the members of CBC to remember the works of the Bard, the greatest Scot, and accused some of failing and meted out suitable 'punishment'! He received a standing ovation after delivering an Immortal Memory which will be talked about for years to come. was delivered by local business man Gus Ross. throws at us through them. President Peter Phillips, Lady President Ann Phillips with club Directors , Provost Clearie and his wife Pam.